Experience the power of of this Healing Energy today by simply getting your FREE Relationship Moon Meditation MP3 by clicking the link below. Every two weeks, we have a New Moon and in another two weeks, we have a Full Moon. On the specific dates of the New Moon and Full Moon, we meet: meditating, praying, channelling crystal light, sending and receiving healing energy whilst in a sacred, safe space. Healing our lives and pain, we celebrate where we are without judgement, accepting ourselves as we are. 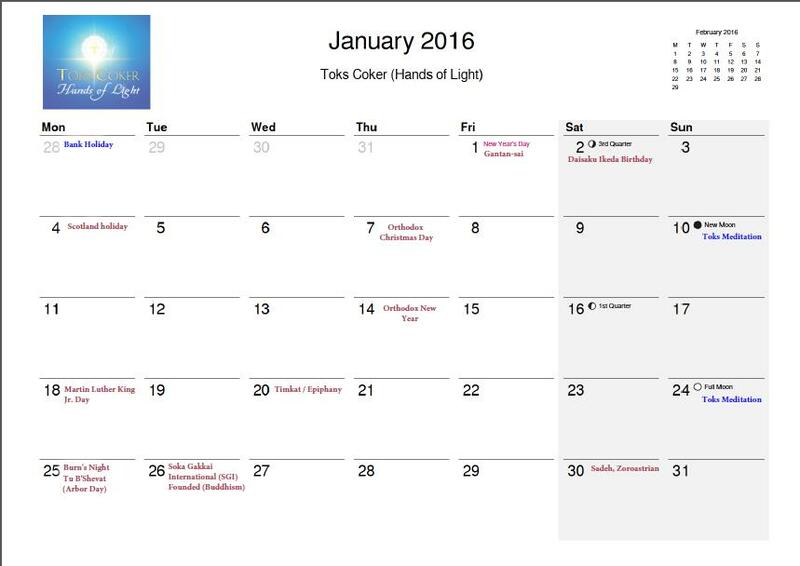 To obtain the Moon Meditation Calendar dates for 2016, please click the image on the left, this will allow you to print or download the PDF document. Toks works with this Energy of Now. In the New Moon, Toks works with the Energy of the New Moon of that Time of Now. 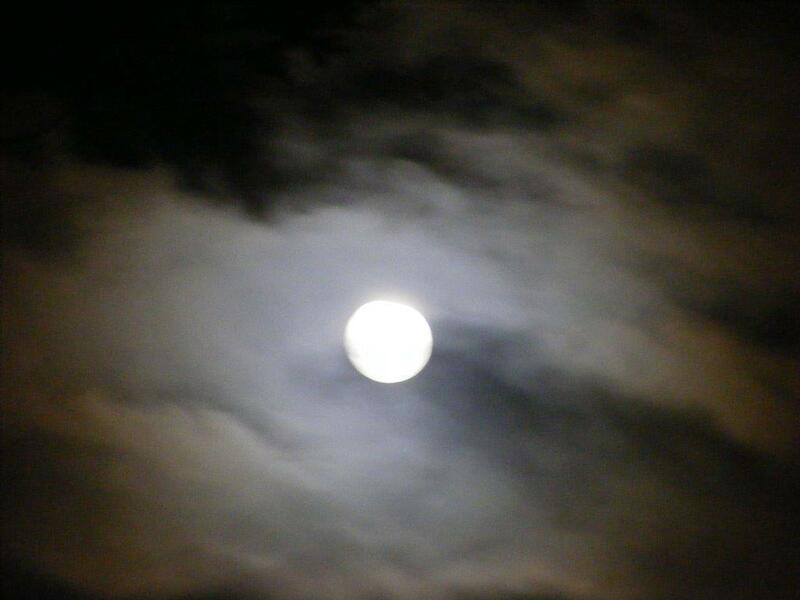 With the energy of the Full Moon, Toks works with the Energy of the Full Moon of that Time of Now. So each New Moon is different from a previous New Moon because Toks is working with the Energy of Now of each New Moon. For instance, a New Moon in Cancer will be a New Moon about your family and your emotions. A New Moon in Taurus, would be about practical things – taking action, going out to do things. The New Moon in Virgo or Capricorn will be about going out to make money, to build a career. So each New Moon, has something it’s resonating with in the Energy of Now. Both Full Moon and New Moon Alchemy Workshops carry specific energies in their individual unique Energy of Now. Both will empower you in different ways through the channeled live invocation meditation that blesses you and your life. You will feel that the messages you receive are just for you and only you. You will feel empowered in your own glorious self, as your self-healing and self-discovery activate a blue print of Divinity within your DNA. You really have to experience this. Always working with the Energy of Now includes the balancing of your Life Force and your Chakras. These Moon Alchemy Workshops are always welcoming, uplifting and nurturing. 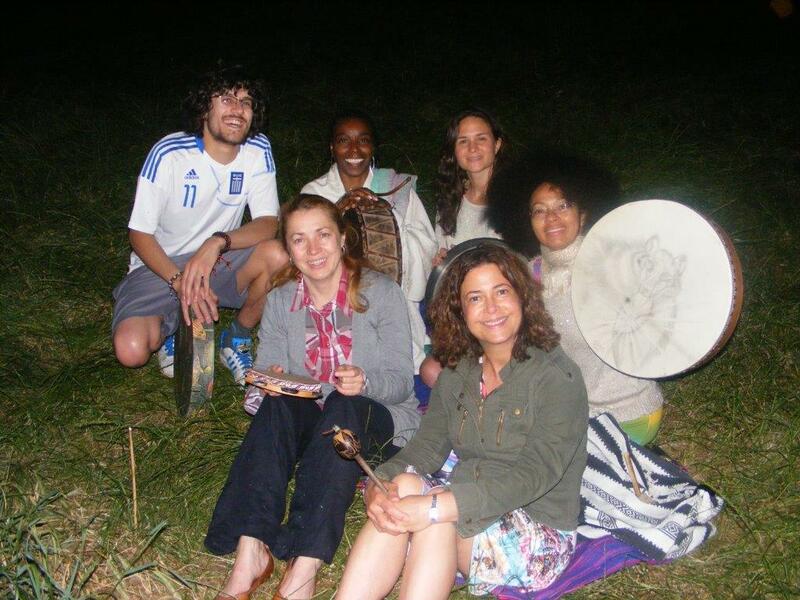 The gatherings bring together quality light filled people who are Seekers of the Light. 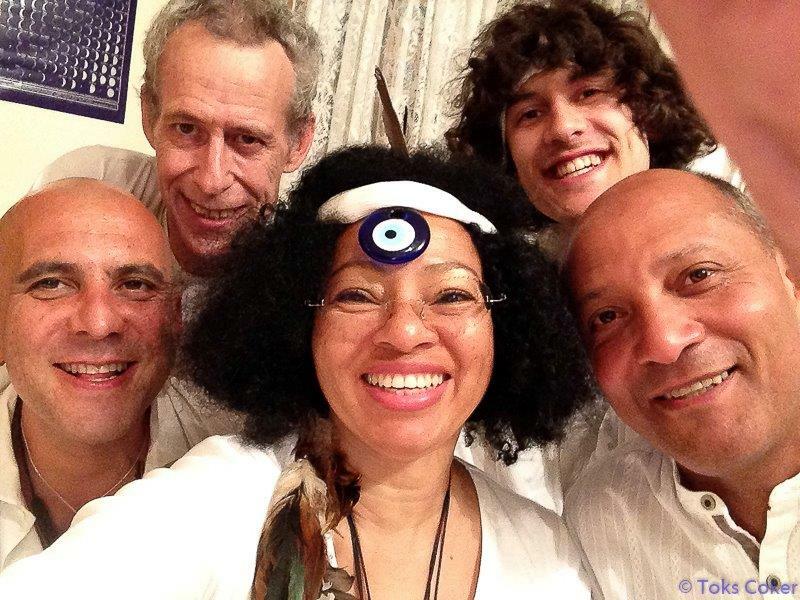 When people arrive for the New Moon Alchemy Workshop, Toks is usually all dressed up in white. She has crystals at the ready and everybody creates a crystal grid for themselves, whether it’s a Full Moon or a New Moon. The Sacred Space has music playing, incense perfuming the air and candles lighting the way. In this safe healing space a lot of quality work is carried out. Why is it That Toks Works So Effectively with Crystals? 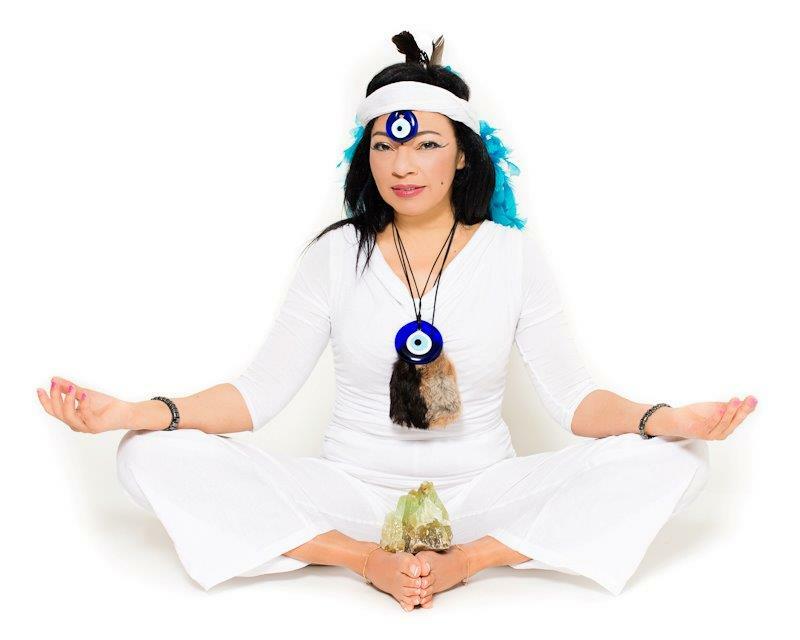 Because Toks believes that within us, we have crystals, and we have a crystal matrix within our DNA and this crystal helps us and enables a fast healing process that is necessary in today’s world. Because things are moving so quickly today, we need something that will help to move the energy quickly in us and move the dis-ease, the frustration, the anger, the rage….to move it out through us, so we can refresh and enlighten our energy. Toks loves crystals and believes they do something that is magical. They are a power magnet attracting, protecting, healing and comforting. 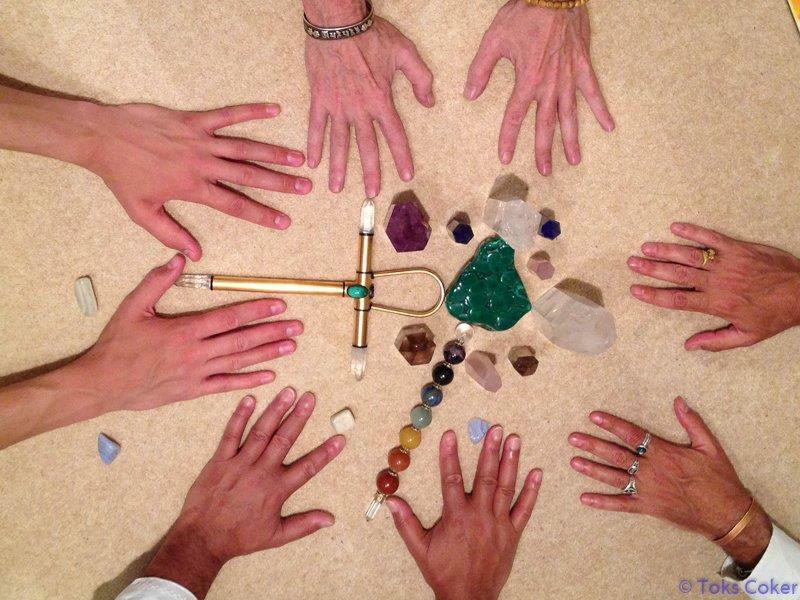 In these wonderful workshops, everybody picks crystals to use and they also co-create a Crystal Matrix for the World. 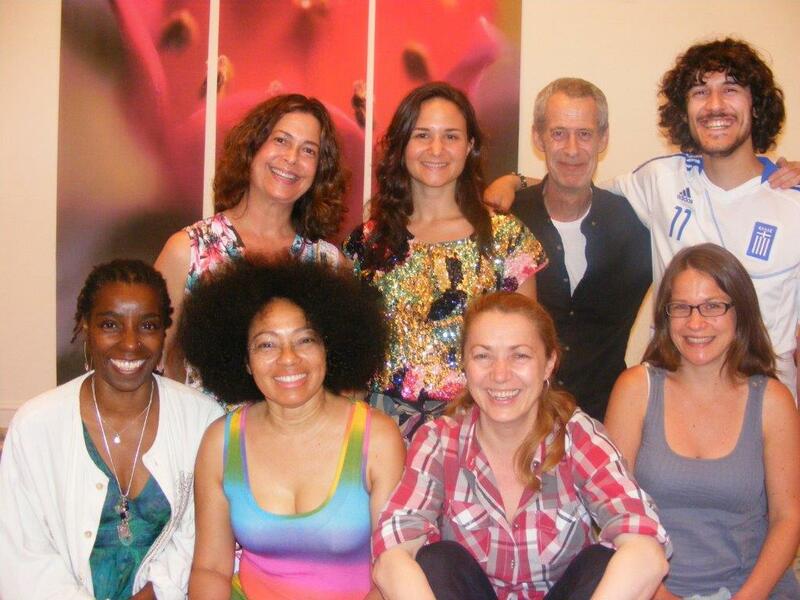 Come co-create healing for the world and send a blossoming healing to the world. Many tools are used to help induce a feeling and a sense of perfection. There is a guided meditation to uplift and motivate your energy in a positive way for your sacred practical life on Earth. 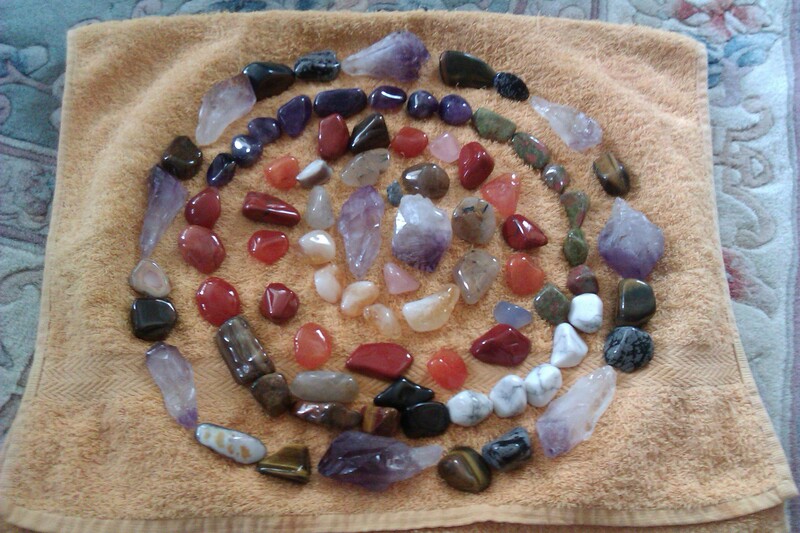 Working with healing crystals, to cleanse and empower you, intensifies the healing experience. Drawing healing cards further helps you to understand, in a practical way, the messages that you got in the healing exercises and meditation. There will be lots of laughter, as well as, explanations, with questions and answers. The New Moon is about planting and seeding what it is you need to do and build. 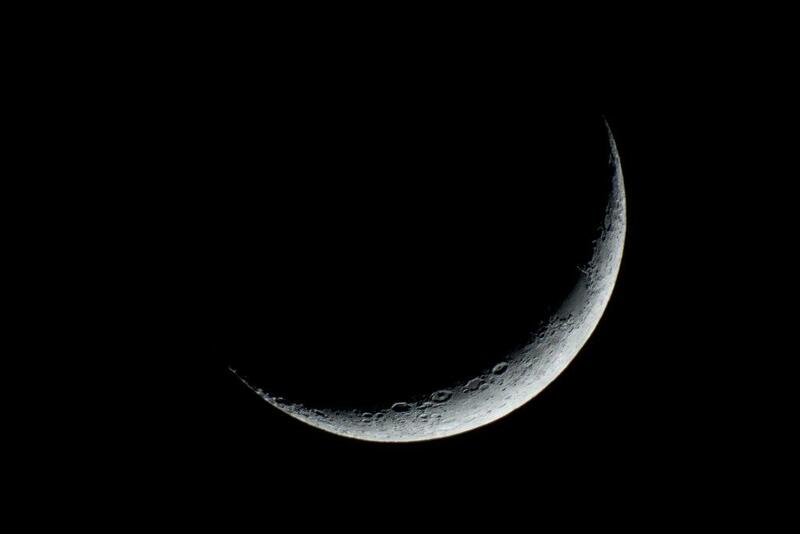 On the day of the New Moon, Toks asks everyone to make a list of their New Moon wishes that they are wanting. The New Moon Wishes are written whilst holding some crystals, either in your hand or in your socks. Toks guides you to sense and feel that, as you write your wishes, that they are written in the sky. That, as the wishes are written, they are written with the knowing that this is what you want – and so it will be given. It can be things like, “I want a new car, a new house. I want to go through a divorce with ease. I want to be better in my career.” The Wishes are meant to be measurable and realistic. We write our New Moon wishes, desires, goals, visions and wants. In our meditation, we plant our seeds knowing that they will grow and bloom. We refresh ourselves by ‘starting again’ and ‘starting from now’. We let go of our past, knowing we are not our past. In the present moment, we create a future with our writing, intention and praying meditation. We call forth that future in to the now. We anoint ourselves with Divine help and inspiration. We know this is a good time to honour the beginning of new things in our lives. We invite in a birthing, a creating, and a beginning. We ask ourselves – What do I need to birth forth in my life right now? We are always willing to apply the principle of Honin Myo – Starting from Now. The Energy of Now is about working with the principal of Honin Myo. Now a Full Moon, a Full Moon is about celebration. You’re celebrating your life. So the New Moon will be planting the seed, so that the Full Moon will be, “What have you celebrated and achieved in that time?” It could be that you actually made the effort to come to the Full Moon Alchemy Workshop. That could be your celebration, because you took time out of your busy schedule to come to the Full Moon – and that’s making a strong intention. So the idea is to anchor and bring forth, from Great Divine, your Spiritual Essence, your Power. Not physical-flesh power but your Spiritual Power, and bring that in to the Energy of the Full Moon and sit, like a King or a Queen, or like an Emperor or an Empress. Toks says that this is done for the ‘Spiritual Light’ – The Light that you shine, the Light that you are, that you sometimes forget. So the Full Moon is about addressing your radiance. On the Full Moon, we celebrate what we have bloomed from what we seeded during the New Moon. We celebrate what we are completed or almost completed. We also celebrate what we are completing and celebrate a future completion. We observe where we are and celebrate where we are. Sometimes, just making the journey to join the Moon Alchemy Workshop, is enough; and is the completion; and the celebration. We just do not know how much we have achieved until we sit in a safe sacred supportive space to reflect and write our achievements, no matter how small. The small achievements are just as important as the big ones; and have been known to be the most important. The Full Moon enables you to connect to your Higher Self and feel shifts in your body. The Invocation comes through Toks every two weeks. She cannot sleep, it keeps her awake, though the joy that she feels of receiving the Invocation, is everything. When Toks is invoking, she brings down a Blessing for the world, from the Divine. These Healing Moon Alchemy Workshops are wonderful gatherings of empowerment, love, healing, and cleansing in a practical space; where you are seen and recognised. This is a very good way to set aside sacred time to renew, review, reflect and gain insight about your life in a different way. One of the fascinating things about these Workshops is the power to connect to one’s own Inner Cosmos and yet remain grounded. As you have read above, there are many benefits to attending a Workshop with Toks Coker. Here are some more benefits with testimonials to match. 1. Commune with your Inner Cosmos via guided meditation and prayer. 2. Send and receive healing energy to rejuvenate and nourish. 3. Send and receive healing energy to re-charge and learn more. 4. Come to a place of stillness and connect to Mother Earth & Father Sky. 5. Relax and calm your mind, body and spirit from your busy work schedule. 6. Heal your life and bring in protection and trust. 7. Accept yourself fully, release the judgement. 8. Celebrate who you are and where you are. 9. Become empowered through the live channelled invocation meditation that blesses you and your life. 10. Activate a blue print of Divinity within your DNA through your self-healing and self-discovery. 11. To activate your own inner strength. 12. To have energy dancing through you to balance your Life Force and Chakras. 13. Let your light shine through. 14. Work with healing crystals and cards to cleanse and empower you. 15. Let go of your past. Remember, you are not your past. Welcome the new. 16. Create a conscious future for yourself with your writing, intention and praying meditation. Goal Setting. 17. Anoint yourself with Divine help and inspiration for your career. 18. Expand into the Fullness of Yourself and Allow something Magical to happen. 20. Realise you are worthy, regardless of your past. 21. Celebrate the Dancing God/Goddess in you.